The Tal committee was an Israeli public committee appointed on August 22, 1999 by then prime minister and defense minister Ehud Barak. It was headed by former Supreme Court Justice Tzvi Tal and dealt with the special exemption from mandatory military service in the Israel Defense Forces (IDF) given to Israeli ultra-Orthodox Jews. Based on the committee results, the Tal Law was passed on July 23, 2002 in the Israeli parliament, the Knesset, as a temporary law which needs to be renewed every five years. The bill enables a continuation of the exempts to yeshiva students subject to the detailed conditions within the bill. 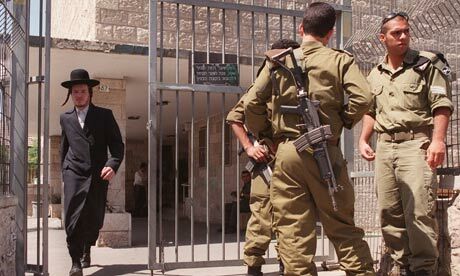 According to the law, at the age of 22, yeshiva students are provided with a decision year and can choose between one-year civil service alongside a paying job or a shortened 16-month military service and future service in the reserves as an alternative to continuing to study. On February 21, 2012, Israel’s High Court of Justice ruled the Tal Law unconstitutional with six to three votes. Originally the legislation harbored the hope that the law would launch a social process that without coercion would encourage ultra-Orthodox people to serve in the military or take part in national civil service.